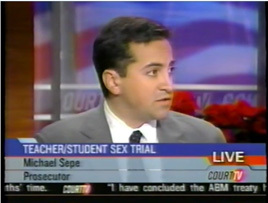 A graduate of Rutgers University and Fordham University School of Law, Michael Sepe first served as a Nassau County Assistant District Attorney from 1996 to 2003. As a prosecutor, Michael investigated and tried major cases including weapons, narcotics, and financial offenses as well as violent crimes. He also supervised several major special assignment investigations and served as Liaison to the U.S. Department of Homeland Security. 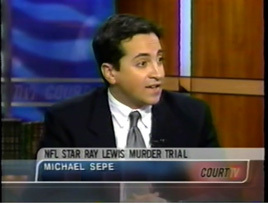 Michael, both as a prosecutor and later as a defense attorney, has repeatedly appeared as a guest commentator for COURT-TV. 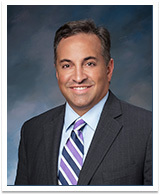 Michael later worked for two major regional law firms from 2003 to 2007. During that time, Michael represented banks, energy suppliers, corporations, universities and individuals in commercial and insurance litigation matters. 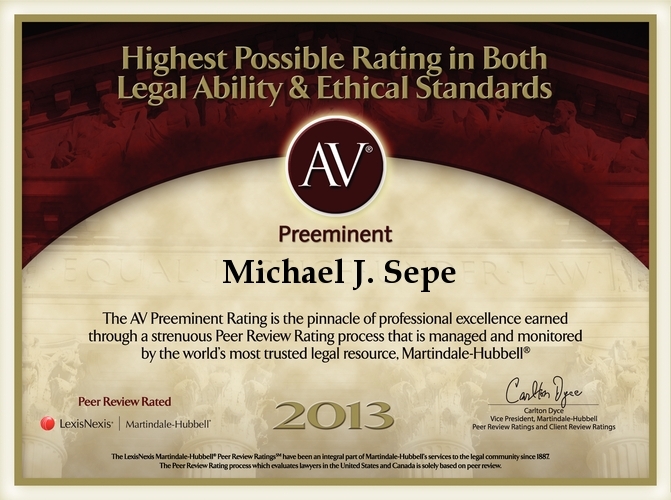 In 2007, he founded his law practice, Michael Sepe, LLC, in Rockville Centre concentrating in civil and criminal litigation in state and federal courts. For examples of Michael’s cases see his business and commercial litigation, white collar criminal defense and personal injury success stories. In 2011, Michael was elected as a Trustee for the Village of Rockville Centre. Michael’s legislative responsibilities include oversight of the Rockville Centre Police Department, liaison to the Nassau County Legislature and a member of the Board of Ethics.  In 2017 Michael was also appointed to the New York State Public Employment Relations Board for the Township of Hempstead, New York. An experienced litigator who has tried numerous civil and criminal cases to verdict, Michael effectively represents a diverse group of individual and institutional clients. See a sampling of Michael’s COURT-TV appearances here.